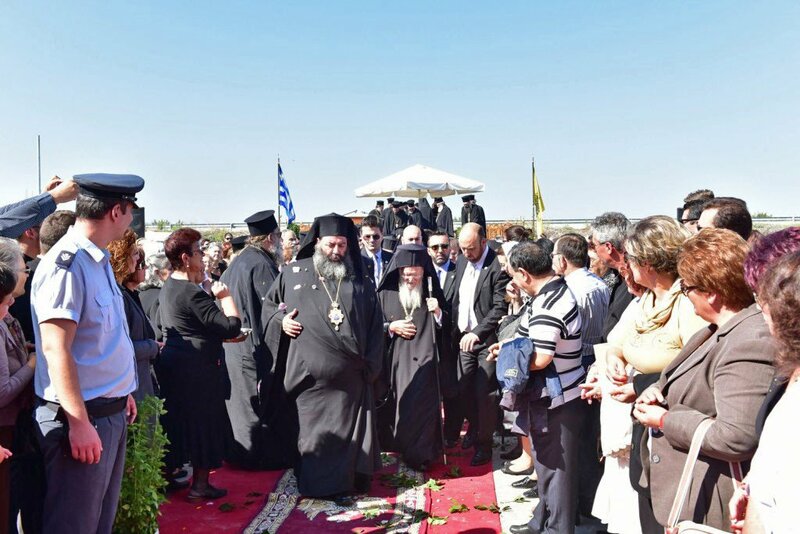 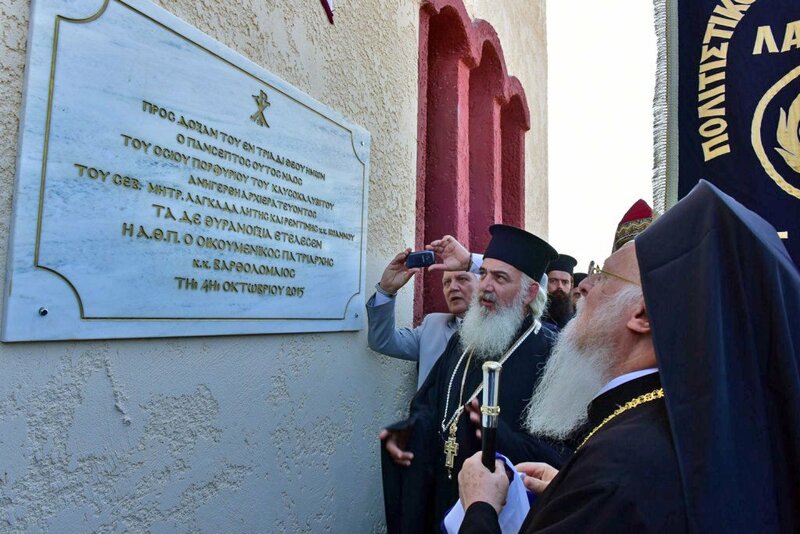 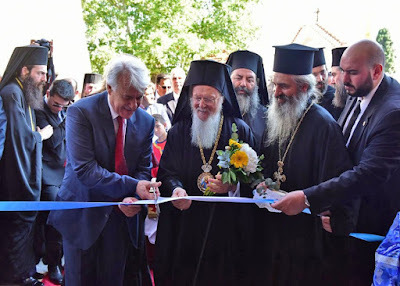 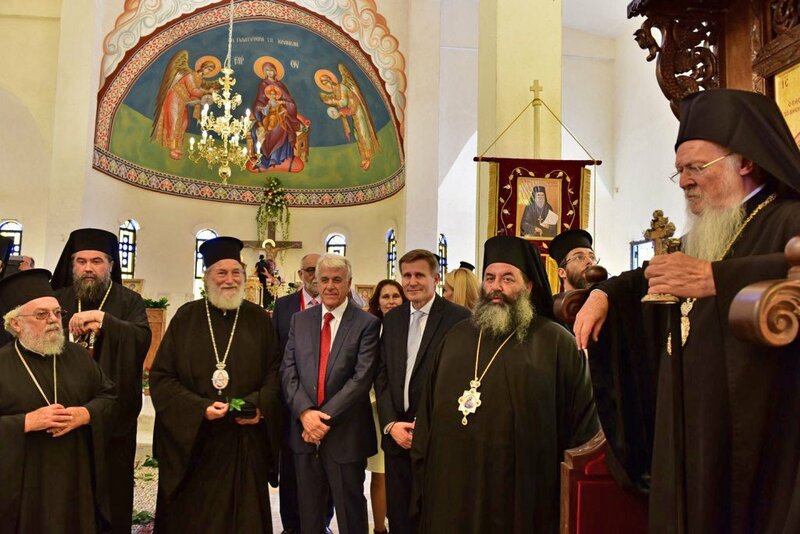 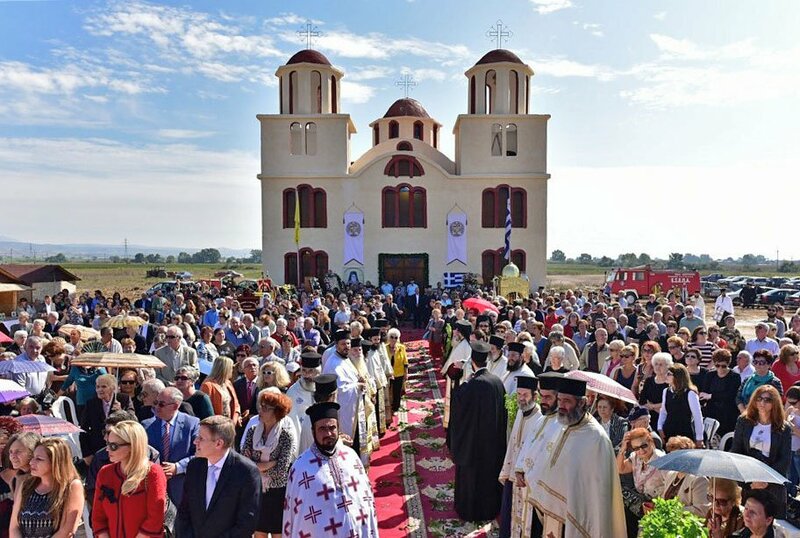 The first church in Greece dedicated to Saint Porphyrios of Kavsokalyva was inaugurated at Langada, Greece on the 4th of October 2015 by His All Holiness Bartholomew, the Ecumenical Patriarch of the Orthodox Church, surrounded by many other Metropolitans, Clergy and faithful. The Langada region is inhabited by many former refugees from the Pontus region and Asia Minor. 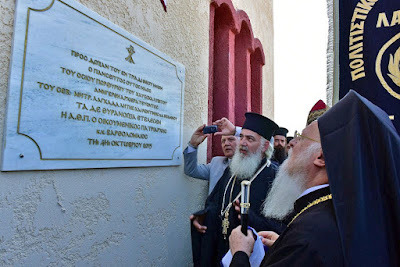 The Church of Saint Porphyrios of Kavsokalyva was already sanctified by Metropolitan John of Langada, Liti and Rentini, at whose initiative the church was built.